MOTÖRHEAD Vödka is a new premium vodka made from 100% locally grown wheat that has been distilled and bottled in the small market town of Malmköping, Sweden. According to a description, "it has a rich, full bodied and complex character, with a light and fruity aftertaste. A touch of barley gives the vodka a rounded and mellow grain character. Its distinctive taste is further enhanced by the unique locally sourced water, which has been naturally filtered for thousands of years in a ridge in Malmköping. It’s an easy-drinking vodka, that can be enjoyed both with and without ice." Order via Systembolaget (in Sweden) with more countries to follow soon. 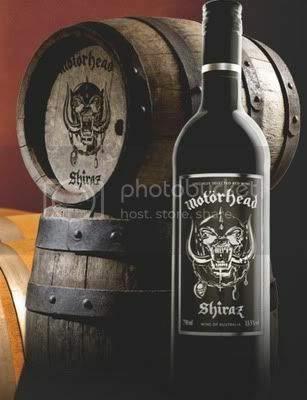 Motörhead Vödka follows Motörhead Shiraz, which has sold over 130,000 bottles in Scandinavia alone! This rockin' Shiraz named after the legendary British icons, hails from Australia's Broken Back Winery and has a very fruity aroma with flavours of vanilla, blackberries, plums, eucalyptus and liquorice. It is full-bodied with soft rounded tannins and packs a real punch. Motörhead mainman Lemmy Kilmister says "approach it with caution. I mean, wine is deceptive, anything could happen." Lemmy adds that the optimum temperature is 16 - 18°C - fractionally cooler than most red wines. 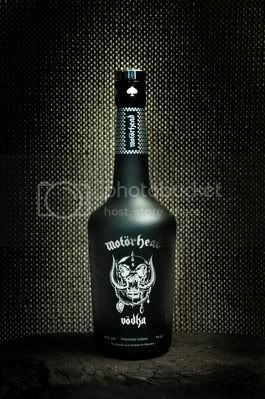 For more details visit Motorheadbeverages.com.